Talented coming eight year old, 15.3 small junior prospect. 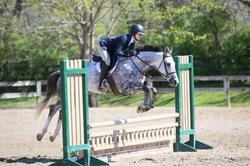 Currently showing in Baby Green and Thoroughbred / TIP Hunter Divisions. Easy lead change, brave but still a kick ride. Championships at Lakeside Arena, Brownland Farm and the Jaeckle Centre. 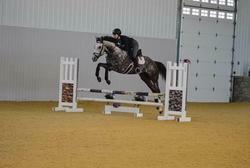 Easy enough for a child or amateur rider to move up with. More videos and photos available upon request. 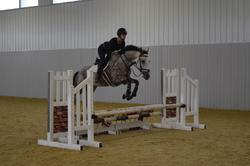 Bigeq.com is a great place to list your horse. 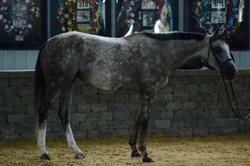 I received many inquiries on horse listed for sale -- most from out of state. Quality horses featured on this site.